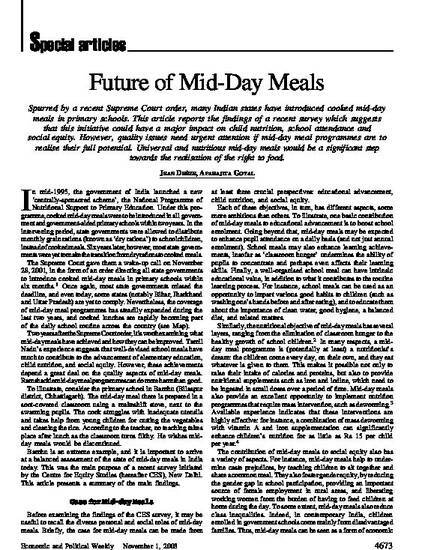 Spurred by a recent Supreme Court order, many Indian states have introduced cooked mid-day meals in primary schools. This article reports the findings of a recent survey which suggests that this initiative could have a major impact on child nutrition, school attendance and social equity. However, quality issues need urgent attention if mid-day meal programmes are to realise their full potential. Universal and nutritious mid-day meals would be a significant step towards the realisation of the right to food.